But I did get to go to Ikea yesterday!...after suffering through a couple hours at a golf show. LOL! Bought a new coffee table for the living room as our other one was huge and drove me insane. I'll have to take proper pics with something other than my phone and do a post here. I'm off this week for the kids' March break so I will definitely find time for pics. I plan on sleeping in every day too (for me 7am is sleeping in, how sad). We have an appointment this week to meet with the anesthesiologist for Simon's MRI (which is the following week). Other than that, we might go visit some friends and their kiddos and that's about it. Relaxation is needed around here. 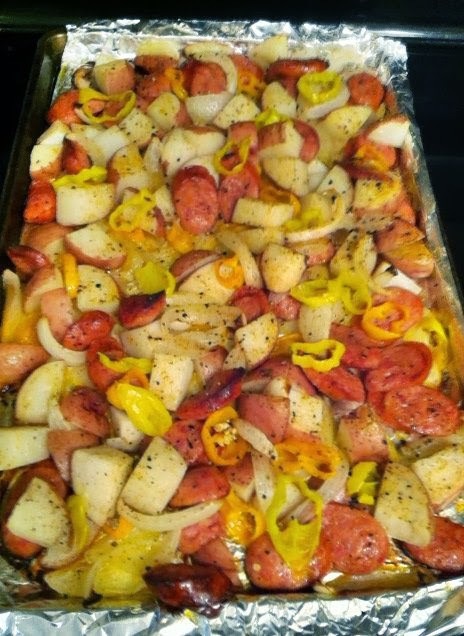 Made some favourite recipes this past week because I'm running out of new ones to make that the kids will eat without fussing... My kids LOVE sausages so I made this oven roasted sausages, potatoes and peppers. 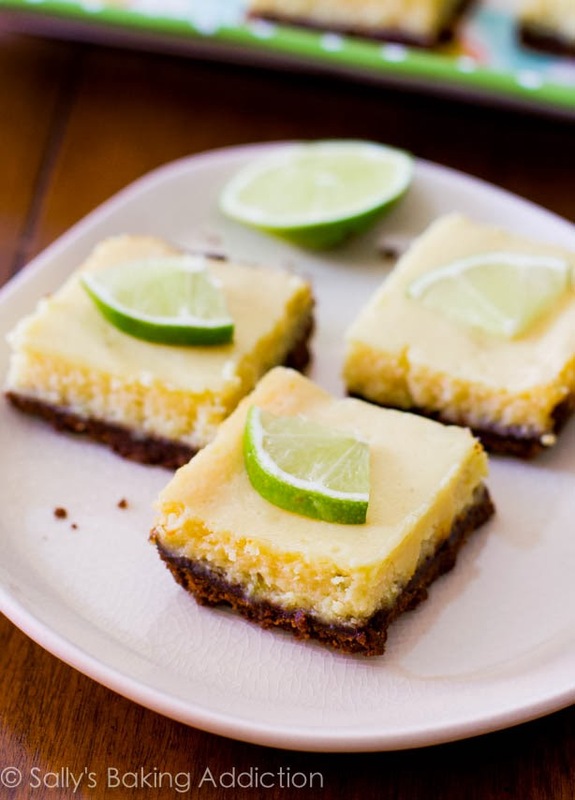 A hit every time I make it and it is easy as pie to make. I add a little red wine vinegar to it a couple minutes before it's done. Next repeat recipe was korean beef. 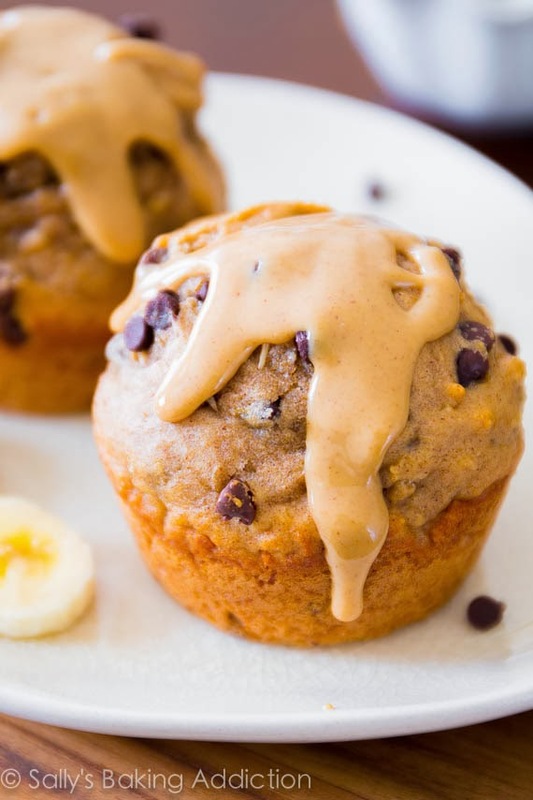 This is probably the simplest recipe with the most taste. 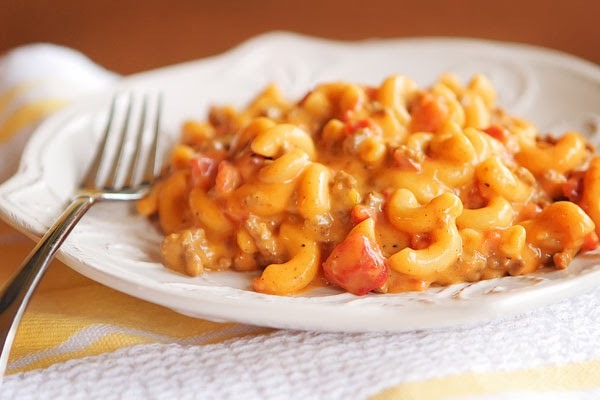 Pablo and I really liked this cheeseburger macaroni the first time I had made it so I thought I'd make it again and see if the kids would like it (can't remember if they tried it last time). They ate it up - even Isabella who still is not a fan of pasta). 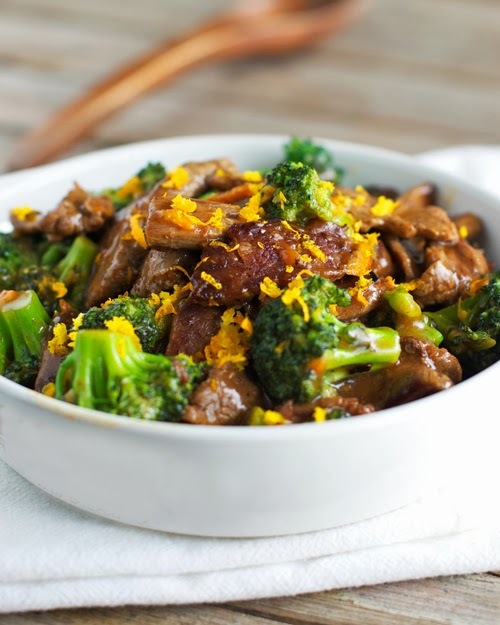 Orange beef and broccoli is a really light and delicious stir fry. I made mashed potatoes for the kids and rice for us. At last I found some time to catch up with what's on one of my favorite blogs! Fingers crossed for Pablo and all of you, Julia! Thank you Kasia for your tremendous support and friendship, my BFF (Bahamas Friend Forever). Big hugs back.